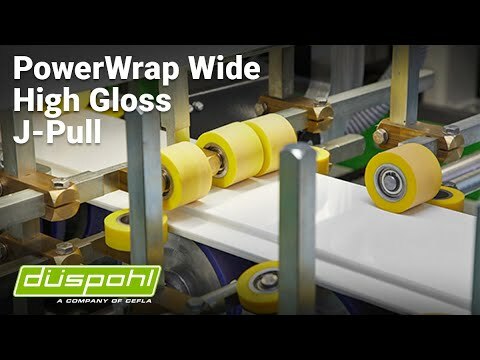 The latest development of the PowerWrap Wide enables the production of high glossy panels with integrated handle (j-pull) for working widths up to 1400 mm. Applying the glue directly to the surface material, the quantity applied can be optimally controlled. The sticky decorative material follows the form of the work piece which is why even complexly shaped edges can be coated using this process. PowerWrap Wide unites reliability, highest quality and maximal efficiency.